Linda L. Zern’s new book, Beyond the Strandline, uses a collapse of the power grid caused by solar flares as a setting for her juvenile/dystopian novel. Isolated on their grandfather’s ranch at the edge of the Little-Big Econ River and state forest, seventeen-year-old Tessla and her teenage sisters, Ally and ZeeZee, live by one rule: don’t venture beyond the perimeter of the family ranch. Central Florida has been plunged into mayhem and instability, but as long as the girls stay behind the line of their grandfather’s property, they remain protected from savagery. The Florida coast is overrun with warring tribes and pirates, and orphaned children-turned-soldiers roam the land. Beyond the Strandline is a thrilling story about the struggle to stay human in an inhumane world, the importance of preparedness, the illusion of safety, and the power of love to redeem even the most desperate. In the tradition of Alas Babylon by Pat Frank, Beyond the Strandline taps into the prepper fiction/dystopian genre without bogging down in the temptation to become a “How-To” handbook. It’s an action-thriller-romance novel with characters that make you care and a story that makes you think. Linda L. Zern is an award-winning short story writer and English major at Rollins College in Winter Park, Florida. She has written children's chapter books including Mooncalf and The Pocket Fairies of Middleburg; an inspirational book titled The Long-Promised Song, which she wrote and illustrated; and a collection of humorous essays called Zippityzern's: A Collage. 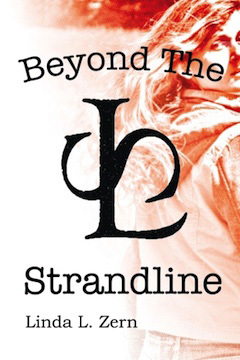 Beyond the Strandline is a work of young adult fiction and Zern’s first full-length novel. A longtime fan of "prepper" and futuristic survival novels such as Pat Frank's Alas Babylon, Zern hopes this book will inspire a new generation to imagine the ramifications of collapse and to "prepare every needful thing." When she is not writing fiction, Zern grows flowers, butterflies, grandchildren, rabbits, chickens, and horses in the beautiful countryside of Central Florida. To purchase the book, go to Amazon by clicking here. Wow! Lou! Thanks. Looks serious and smart. Sure. Sure.